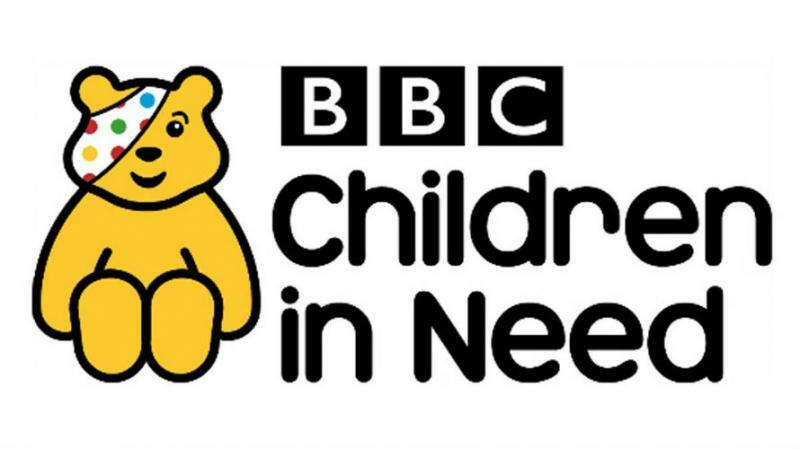 This year’s BBC Children in Need (Bristol & the West) will broadcast live from The Bottle Yard Studios this Friday 16th November, presented by Andy Day and Alex Lovell. BBC Children in Need believes that every child should have a safe, happy secure childhood and the chance to reach their potential and this year BBC West are supporting this ambition by engaging young people to explore their potential in film-making. Alongside a core team of four BBC West staff, more than 60 children and young people are involved with creating content and films and crewing the 25 min live outside broadcast for BBC One. There will also be a further three short films for BBC West and plenty of local radio, digital and social media content broadcast throughout the week, produced by young people from Bristol. BBC West have partnered with a number of organisations which work with young people in Bristol to produce BBC West broadcast output alongside digital & social media content; included in this were a number of young people from projects who receive funding from BBC Children in Need. A team of eight teenagers have produced and directed the ‘where the money went’ films for BBC Points West. BBC West partners at Knowle West Media Centre oversaw the project, providing professional mentor support for the young filmmakers who chose the stories they wanted to tell, conducted broadcast interviews and produced and directed the shoots and edits. They have delivered three high quality, high production value, short films that tell the story of how money raised for BBC Children in Need is spent in the west of England region. Creative Youth Network and Off The Record also supported young people they work with to produce and direct three short films. Their films are being broadcast on BBC One within BBC Points West this week. The young filmmakers also worked with a musician to create an original music soundtrack to their films. Their films feature the work of National Star College, Alliance Homes Young Carers support group and Jamie’s Farm – they will be broadcast on Points West this week on Tues 13th, Weds 14th and Thurs 15th November. BBC West project partners at ACTA have been working with their Monday drama group of seven to 14 year olds to write, rehearse and record a short TV sketch using green screen chroma key techniques. The young actors have imagined a story based around a local landmark that has magical powers allowing you to teleport anywhere in the world… where would you go? The first year cohort of The Bottle Yard’s Media Production Diploma delivered by boomsatuma is a key part of the live broadcast production, creating designs for set dressing, painting the set itself and supporting the live outside broadcast in a variety of roles; ranging from assistant floor managers to grips, boom operators and runners. Students from City of Bristol College, South Bristol skills academy are also bringing their skills to the production, students will be doing the make up for a cast of 30, including 20 more young ACTA actors who are the background artists for the live broadcast. Tune in on Friday 16th November, BBC One Points West from 18:30 and BBC Children on Need from 19:30. For more on how to support BBC Children in Need visit: bbc.co.uk/Pudsey.